Out of all the mornings, the one that comes on Sunday is my favourite. And there's breakfast. Always the best breakfast, finally prepared with enough leisure and time to get it as close to perfect as the sleep in my eyes allows it to be. But, of course, having the time doesn't mean I want to spend all the time, and for those Sunday mornings where I don't want to have brunch become lunch, the Dutch baby pancake is the perfect compromise. 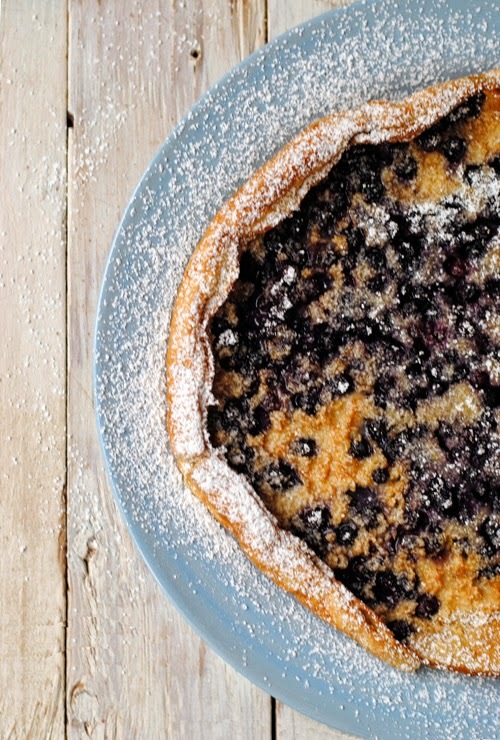 Quick and easy, this Dutch baby pancake has a hint of cinnamon and lemon and is topped with blueberries. Preheat your oven to 425F. Put the butter in your cast iron skillet (or any other oven safe skillet), and pop it in the oven. While everything is heating up, combine the flour, salt, cinnamon, and lemon zest in a large bowl. Add the eggs, milk, and vanilla, and give it a good stir until everything is well combined. It will be runny. This is good. Carefully remove the skillet from the oven, and pour in the batter. 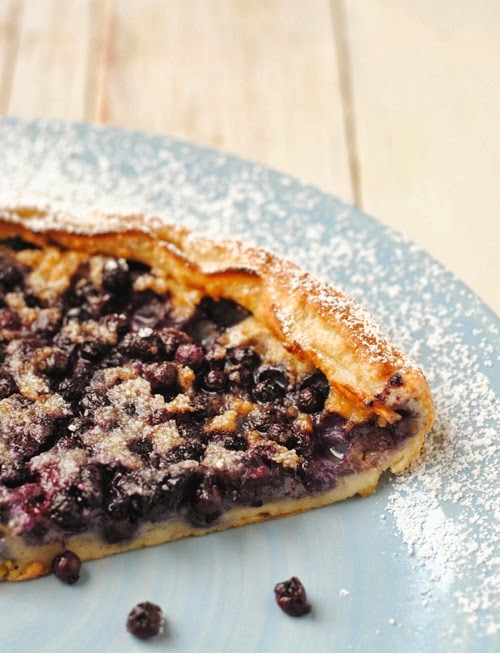 Sprinkle the berries over top and bake for 15-20 minutes. (Start watching it carefully around the 10 minute mark. You don't want to come this far only to mess up the part where you bake it). It will puff up and be golden brown when ready. Remove from the oven (wear mitts or something), and either serve directly in the pan, or put it on a plate to slice and serve. Sprinkle with icing sugar for a glorious final touch.